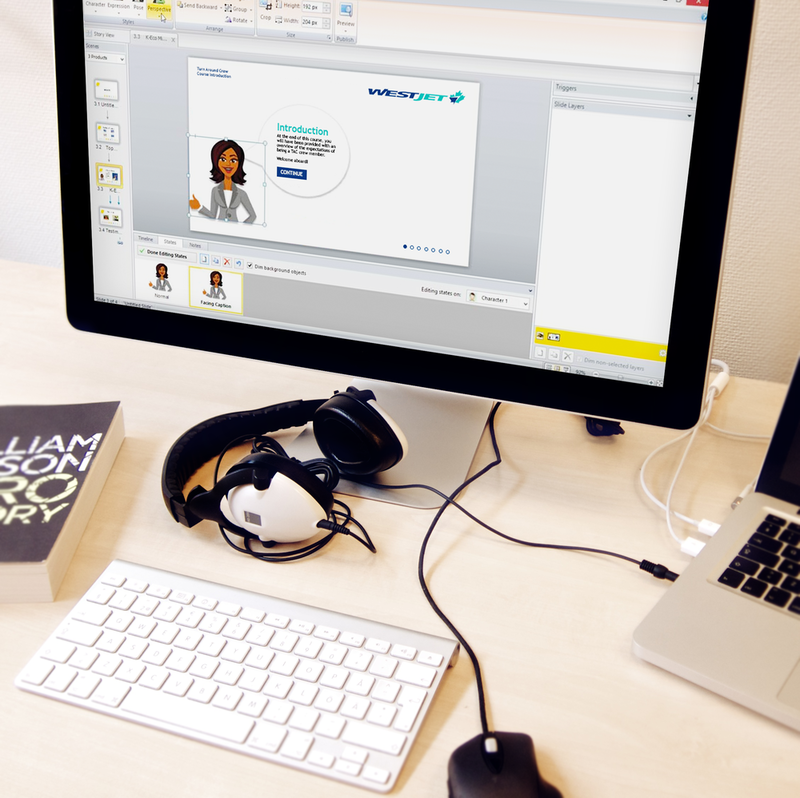 At WestJet, one of my main roles was to create the online training programs used for all the new hires at WestJet. In addition to creating the courses, I was also responsible for quality assurance testing of both the courses I designed as well as the courses designed by my colleagues. After the quality assurance testing was conducted, I was responsible for de-bugging the courses. In our Usability class, a project we were given was to execute a usability test and report for Canada Post’s website functionality. In the report, we were also responsible for providing reccomendations for a better user experience. This was achieved by preparing a scenario for the test participant to go through. The process was then carefully watched and recorded, in order to better understand where the problems with navigation and hierarchy lie within the website. To accurately conduct this Usability test, I had prepared a script, a consent form, and a list of tasks for the test participant..
At WestJet, I was tasked with the creation of a Technical Requirements Guide for the Learning and Development Department. This guide iterated the standards and procedures that were essentials for the successful creation of E-Learning training software at WestJet. The technical standards guide included principles such as font usage, proper hierarchy, naming conventions, etc. The entire guide was written, laid out and designed by myself and one other colleague. At WestJet, I was also tasked with the creation of a Best Practices Guide for the Learning and Development Department. The intent of this guide was to demonstrate best design practices, as some of the Instructional Designers on the team only had educational knowledge. Therefore, my role was to educate my colleagues on best practices I had attained as an Information Designer, through a written guide.